Korea REP’s Decisiveness and Organisation Exceed Host Country’s Efforts. Though this match came in the form of an exciting rivalry between two European managers, the famous Frenchman Alain Perrin and German Uli Stielike, the main movers of the game were the players. Though the squads employed a number of prearranged strategies as a base, the match saw the teams lock horns and collide on a frequent basis. Especially noticeable was the intensified marking of Gao Lin and Lee Jeonghyeop, ace players of the China PR and Korea REP teams, respectively. 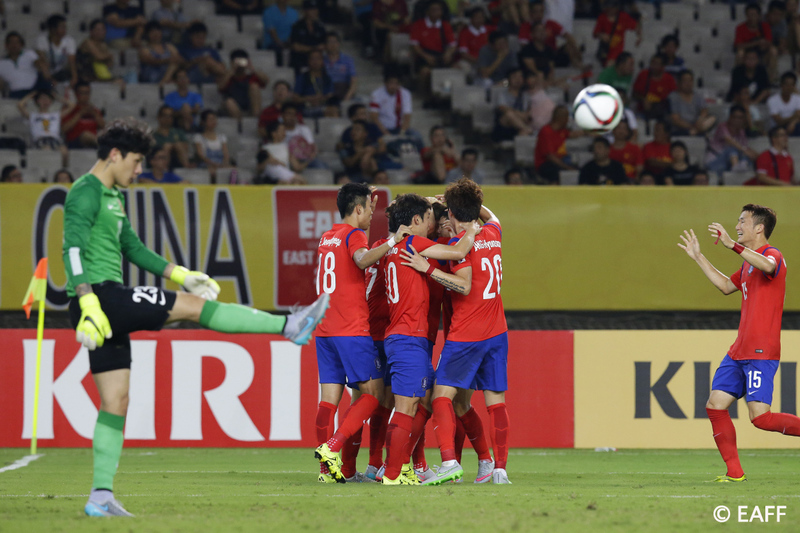 Goalkeeper Wang Dalei and the centre-backs of China PR, who adopted a 4-1-4-1 formation, fed a number of accurate balls further up field, which allowed the team to mount speedy attacks from the sides. 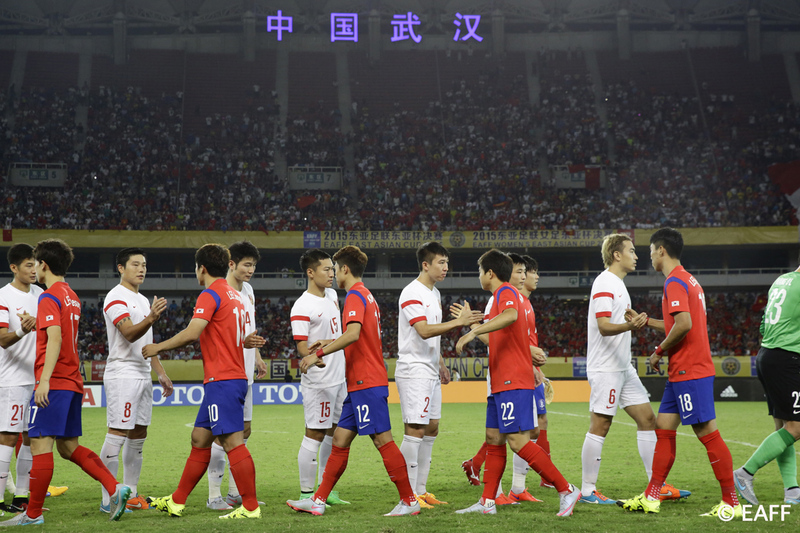 Korea REP, on the other hand, employed a 4-2-3-1 formation which pivoted on defensive midfielder Jang Hyunsoo. Left wing number ten Lee Jongho played the ball into the centre of the field, which accentuated the team’s pass-work in midfield. 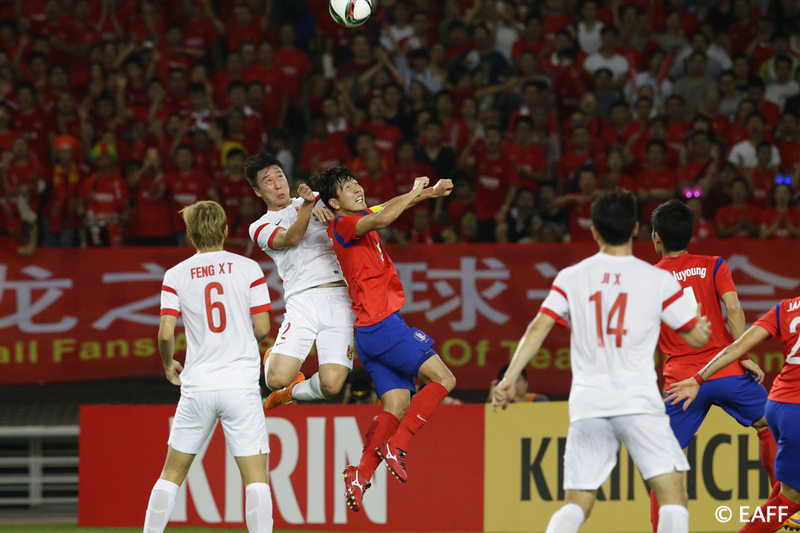 Despite the differences in style exhibited by the team, Korea REP was unable to keep possession of the ball in front. The goal-scoring chances were limited to counterattacks that came from mistakes made by the opposition. 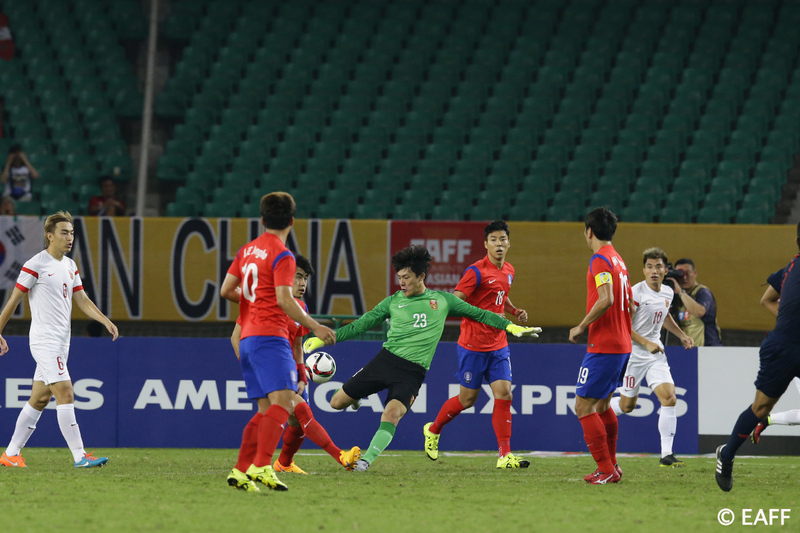 However, as the first half was nearing an end, Korea REP exploited a momentary gap with a ball that had found its way from up field on the right to Lee Jae Sung, who passed the ball up to Kim Seundae, who had crossed over and ran through the centre, for a beautiful goal that provided the Korea REP team with the lead. 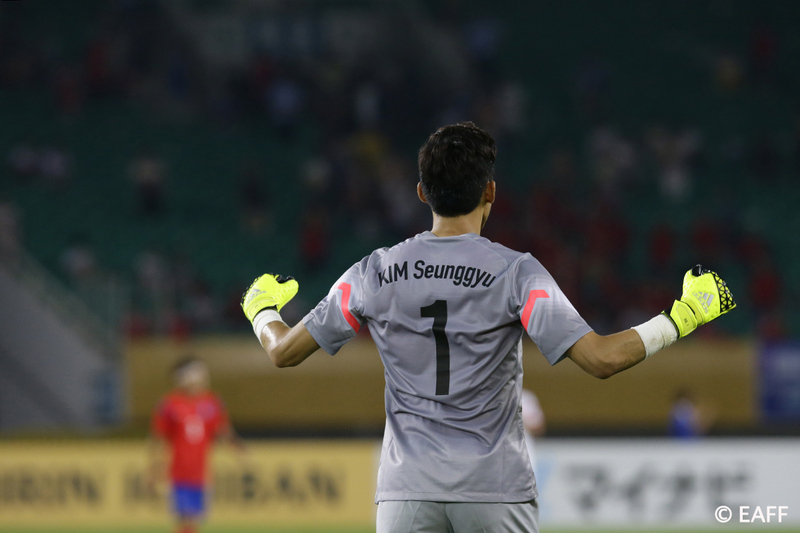 With momentum now firmly established in the game, Korea REP rebuffed China PR retaliations with counterattacks that took advantage of the space created on the pitch. 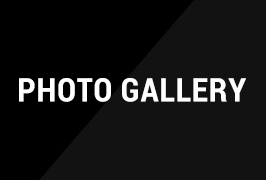 An extra goal from Lee Jongho, who put the ball in the back of the net after receiving a ball in centre pitch from a breakaway Lee Jae Sung in the 12th minute of the second half, was typical of this. 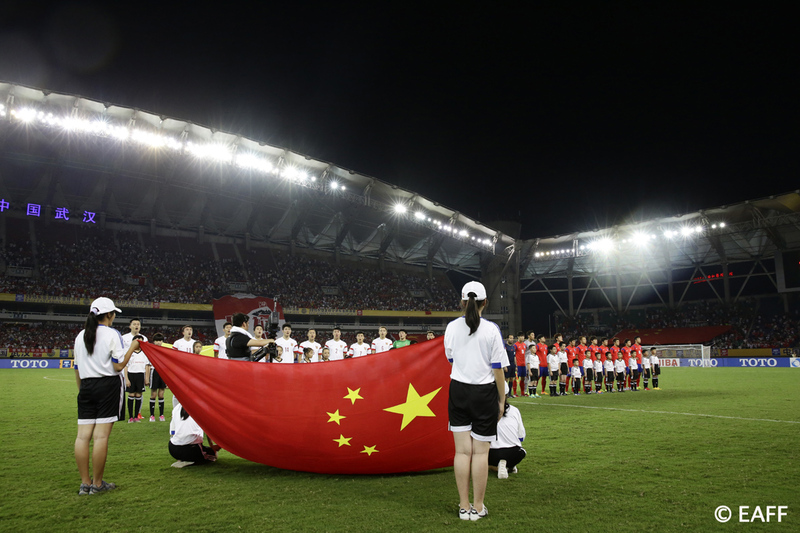 As the game progressed and the teams began to tire, China PR substituted striker Yu Dabao into the game in order to shrink the two goal gap that had been created. 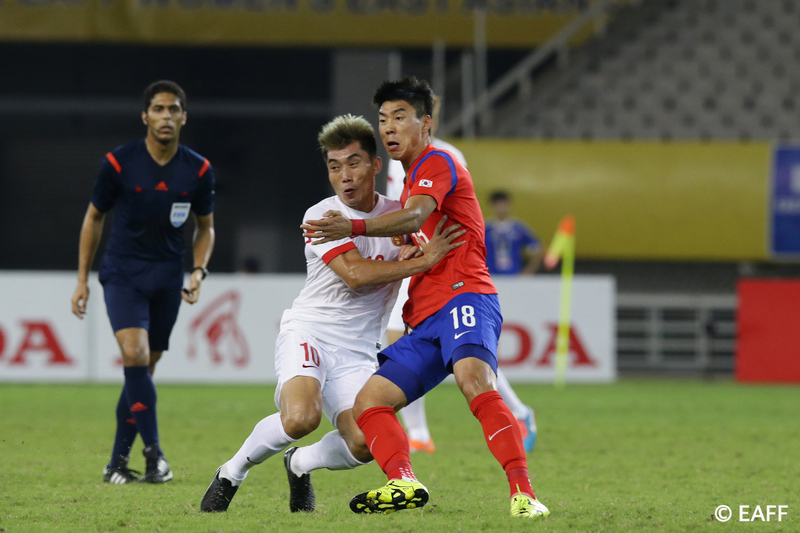 Repeated attempts and some formidable attacking, however, met with some fierce competition for the ball by Korea REP, who fought for possession high up on the field. The game ended, with China PR’s sweat and toil on the pitch standing in contrast to Korea REP’s excellent team organisation, concentration, and overall risk management.